Thanks to significant advances in drone technology, drones are now advanced than ever before. Featuring a whole host of performance focused features including SkyAutonomy technology, the ability to fly further and longer, today’s drones really will allow you to capture superb quality videos and images. Our high performance range of DJI Drones boast a whole host of products including the DJI Spark Drone - Alpine White, the DJI Mavic Pro Drone & Accessories Bundle – Black, DJI Spark Drone Fly More Combo - Alpine White and the DJI Spark Drone Fly More Combo - Lava Red. One of the most popular drones in the collection is the DJI Spark Drone Fly More Combo - Lava Red. Offering exceptional performance for such a small drone, this DJI Drone comes complete with everything you need to get started. So whether you’re a novice or experienced flyer, you’re sure to get to grips with this drone straight away. 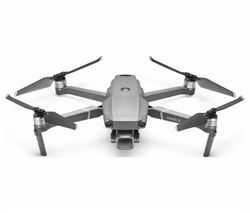 Featuring QuickShot that helps you to shoot videos like a pro, a number of flight safety features for a worry free flight, as well as a high performance camera that captures full HD video, this impressive drone also comes with a number of handy extras, including a remote controller, additional battery, charging hub, extra propellers, and a practical shoulder bag for transporting your gear. 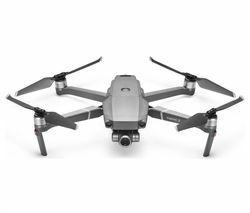 With its intelligent flight modes for smart intuitive control and on the move tracking, this DJI Drone offers a maximum speed of 31 mph, a maximum flight time of 16 minutes and optimum flight control. And if you can’t find what you are looking for in our DJI Drone, don’t worry. We also supply a number of parrot drones too. All drones featured within our drone product ranges have been designed to accommodate the individual requirements of both novice and experienced drone operators.